Ghanaian startup AgroCenta has been crowned 2018 Seedstars Global Winner at an awards ceremony in Lausanne, Switzerland today, and walks away with $500 000 in equity investment. 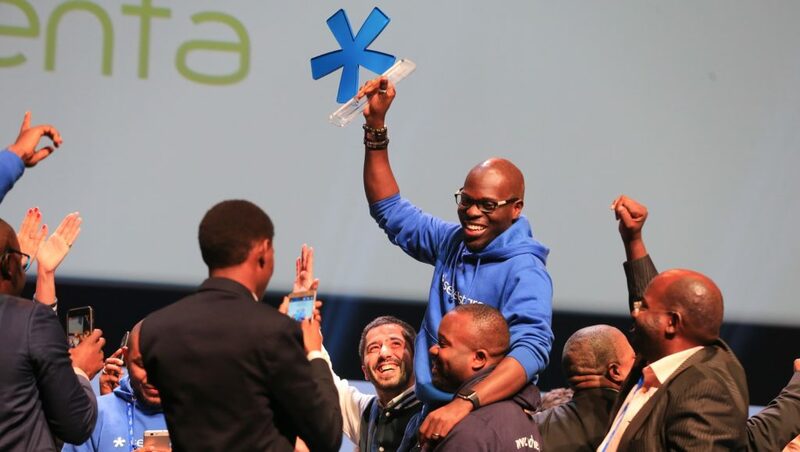 African startups dominated the awards ceremony — which took place at the SwissTech Convention Centre at the conclusion of the fifth annual Seedstars World Summit today (12 April). Four of the five main awards were scooped by African startups. AgroCenta is an online sales platform started in 2015 by Francis Obirikorang and Michael Ocansey. It connects smallholder farmers directly to an online market which has wider geographic size, to sell their commodities. Speaking to Ventureburn this morning ahead of the announcement, Ocansey said three of the seven or eight investors the startup had spoken to yesterday during investor meet-up sessions organised by Seedstars, had expressed willingness to invest in the company. Ocansey said attending the summit had allowed them to meet directly investors in the same room, pointing out that it is often difficult to get a meeting via emails with prospective investors. Every year, the Seedstars team roams the world to scout for the best startups in the emerging markets. A total of 5000 startups applied to to the 2017 series of the competition (to stand a chance to become the 2018 winner), to pitch at the sessions hosted in 75 cities in 65 countries. AgroCenta was chosen from a shortlist of 12 of the 65 startups that attended the summit. The shortlist was announced yesterday at the summit. BBVA open talent prize: FinChat (Singapore) which makes messaging services compliant with data retention regulations, so that bankers can reach out to the billions of users of these messaging platforms. Enel Africa Energy prize: SolarFreeze (Kenya) is pioneering mobile cold-storage units powered by renewable energy to help rural smallholder African farmers to face the huge challenge of post-harvest loss. 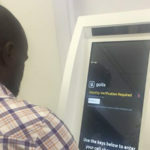 Transforming education prize: Edves (Nigeria) which has developed a portal for schools to share education materials with learners and for parents to make payments to schools. Merck health tech prize: EMGuidance (South Africa) which aggregates medical content from regional experts for medical professionals in one app and platform. Addressing the summit earlier today, Seedstars co-founder and CEO Alisée de Tonnac pointed to the importance of accelerators in emerging markets in helping startups to raise funding. For example by attending an accelerator in Cairo startups there were 3.1 times more likely to obtain first-round investment than if they had not attended an accelerator. New York based startups were just 1.4 times more likely to secure investment if they attended an accelerator in that city. Since the inception of Seedstars World in 2013, the organisation has supported 1500 entrepreneurs, which have been assisted to create over 2000 jobs, generate $70-million a year in revenue and raise $92-million in funding. Between 2013 and last year the competition has received 12 996 completed applications, with the number per year having grown from less than 500 in 2013 to 5000 in 2017. In this time Seedstars has selected 237 startups to attend its annual summit, of which 65 have come from Africa — including five from South Africa, namely: EM Guidance (2017), ID Work — now called Kandua (2016), Giraffe (2015), Lumkani (2014) and GUST Pay (2013). In addition, over 33 000 people have attended the four summits held between 2014 and last year. Correction: An earlier version of this article had AgroCenta has the 2017 Seedstars Global Winner, when the company is in fact the 2018 Seedstars Global Winner- of the 2017 series of the competition. We regret the error. Ventureburn was a guest of Seedstars at its annual world summit which takes place today (12 April 2018) in Lausanne, Switzerland.